BARCELONA, Spain (VIP-NEWS) — 84% of content consumed in Spain is illegal, according to new report that adds more fuel to fiery debate in piracy-plagued country. 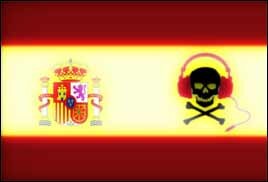 Eighty-four percent of all online content consumed in Spain is pirated, according to a study of 2013 Internet trends commissioned by a coalition of music, movie, publishing and video game companies. The April 9 report, which concluded that more that half of all Internet users in Spain download content illegally, is the latest fuel in the fiery debate over intellectual property legislation in the piracy-plagued country. Twenty-eight percent of Internet users surveyed said they pirate music on a regular basis. Over 50% of that illegally downloaded music consists of recently released singles and albums. Although more users — over 40% — habitually download movies illegally, the amount of music downloaded was more than double the amount of movies watched for free. According to IFPI’s latest global report, piracy in Spain particularly hurts Spanish music artists, since 60% of albums in the Top Ten are by national acts. The new report’s negative findings coincided with IFPI and other industry studies equating piracy with Spain’s spiraling music market. Not surprisingly, most respondents in the newly published report — 73% — said they illegally downloaded content to avoid paying for it. Fifty percent said they began downloading illegally in response to a 21% tax on cultural goods imposed in 2012, which the government of Spanish Prime Minister Mariano Rajoy reduced to 10% in January of this year after vehement protests from artists and cultural professionals. The authors of the report cited illegal downloads growing at a rate of 4.6%, with half of users accessing music directly through download sites and the other half through search engines – almost 98% of users in Spain use Google. In a February 2014 memo on copyright enforcement in Spain, The International Intellectual Property Alliance warned that Spain would be put on the entity’s watch list if reforms in the country were not increased. The country had been taken off the intellectual property “blacklist” in 2012 with the promise of the “Sinde-Wert Law,” copyright legislation passed by Spain`s Congress in 2011, which went into effect in 2012. In a communication on its web site on April 9, the Spanish Ministry of Culture countered that its response to intellectual property violations has been more successful. It said that of 406 complaints, 349 had been resolved, adding that 162 web sites had taken down content and 23 web sites had been closed down. In 2012, digital music amounted to 34% of total sales in Spain. Although Spotify, Google Play and other services showed initial promise as an alternative to piracy in the Spanish market, digital sales in Spain grew only 9% compared to the 22% European average, according to last year’s IFPI figures. “In 2013 the evolution of digital business models is in a standstill and this leaves us ever farther away from main international markets,” Guiasola concluded in the Promusicae report.